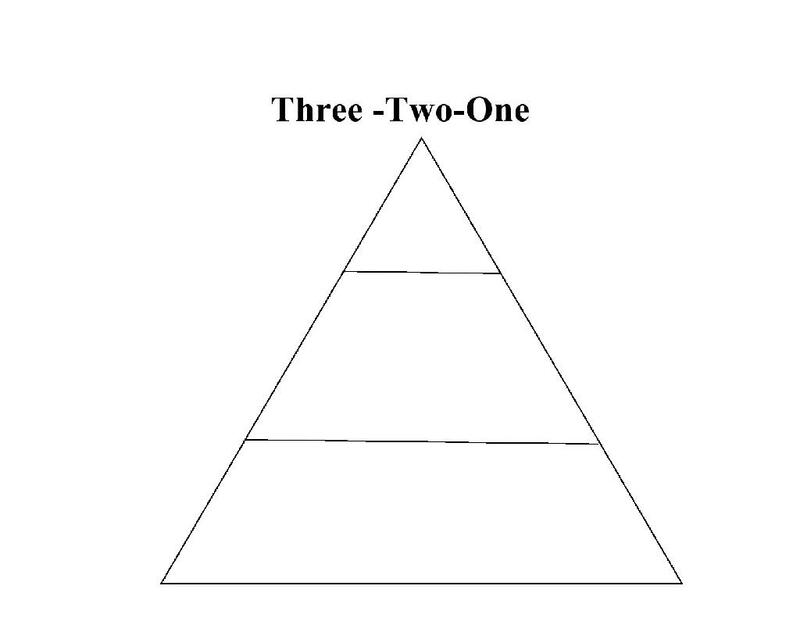 Individually students come up with three concepts that are most important in the lesson. Then allow students to work in pairs foster a deep understanding of what has been taught. Students are then instructed to think critically to determine two most important aspects of the lesson and one big idea. Hint: Poster size the triangle as a visual reference for display in your classroom. Students can create their own triangle on their own paper. Having students create the visual themself helps them retain the information. Also allow them to use color as this also gives them some creative interest. Use this strategy consistently throughout the year and students will be able to use it with ease.